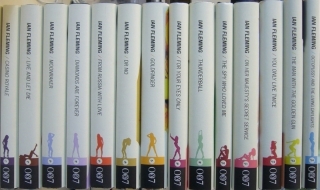 You’ve probably seen all the new Centenary edition covers of Ian Fleming’s Bond novels, but what about the spines? Wonder how it’ll look on your shelf? 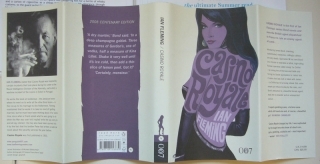 (Die hard fans tend to think of these silly things) Here’s two images: the first is the full jacket for Casino Royale. 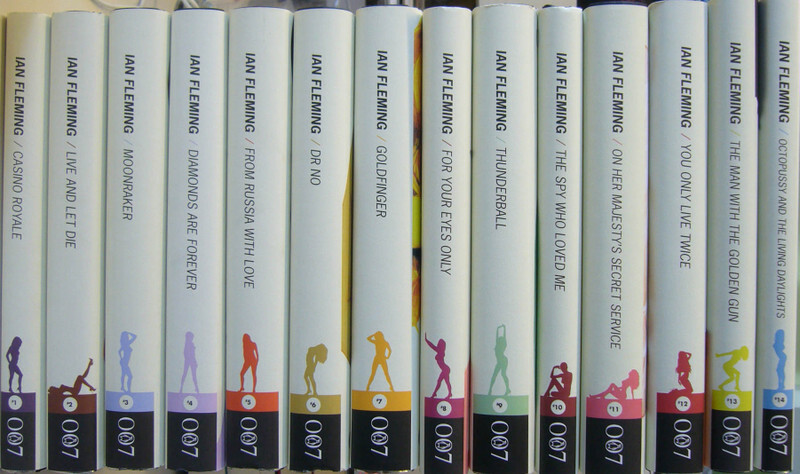 The second is all the spines lined up. These new hardcovers designed by Michael Gillette will be available on May 29th, just one day after Ian Fleming’s 100th birthday and the arrival of Sebastian Faulk’s Devil May Care among other Centenary events and releases.